BERKELEY, CA (November 15, 2018) In commemoration of the 100th anniversary of Save the Redwoods League, Heyday is proud to present The Once and Future Forest: California’s Iconic Redwoods, a stunning book that showcases both the grandeur of the redwood ecosystems that sustain California and the deep love they have engendered in scientists, writers, artists and the general public. While today, under direction of president and CEO Sam Hodder, Save the Redwoods League remains thoroughly committed to conservation, its work has blossomed to also include critical restoration and protection projects. one hundred years is just the beginning of the League’s work to save the redwoods,” says Hodder. The Once and Future Forest is a luxurious objet d’art: protected by a foil-embossed slipcase, this oversized clothbound hardcover is constructed of premium materials and features over 175 full-color images. 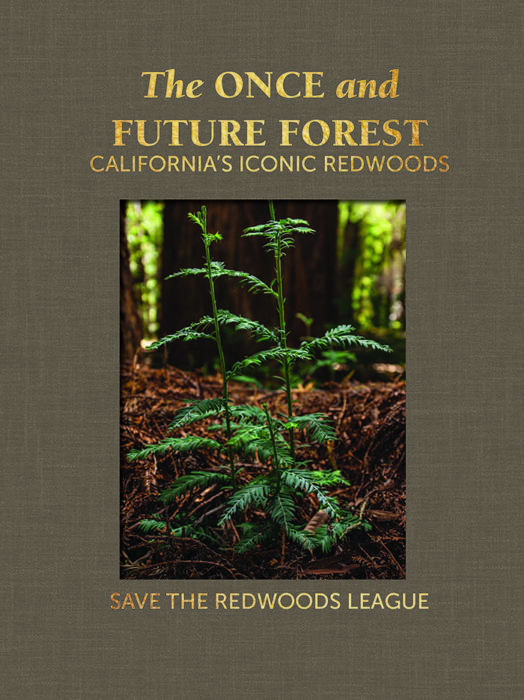 This limited edition volume’s retail price is $100 and a percentage of its sales will go to support the League’s protection of the redwoods. Visit SaveTheRedwoods.org/Heyday to order today. About Save the Redwoods League, one of the nation’s oldest conservation organizations, is celebrating 100 years of protecting and restoring coast redwood and giant sequoia forests and connecting generations of visitors with their peace and beauty. Its 20,000 supporters have enabled the League to protect more than 200,000 acres of irreplaceable forest and help create 66 redwood parks and reserves. For more information, visit SaveTheRedwoods.org. Heyday is an independent, nonprofit publisher and unique cultural institution. We promote widespread awareness and celebration of California’s many cultures, landscapes and boundary- breaking ideas. Through our well-crafted books, public events and innovative outreach programs we are building a vibrant community of readers, writers and thinkers. Learn more at www.heydaybooks.com.